Price £20 per person - We require a minimum of a £10 deposit per person in advance of any session. This can be paid in cash/card at the bar or by card over the phone. Each class is approximately 2 hours long and takes place in our lounge. You can book our lounge ﻿any day of the week﻿ (subject to availability) for groups from 4-16 people. 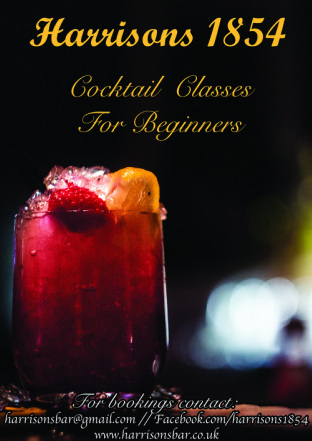 · Plus various tips, tricks and information about cocktail making along the way! Note: The cocktails included in these sessions are to the value of £5 or less each which covers most of our cocktails. 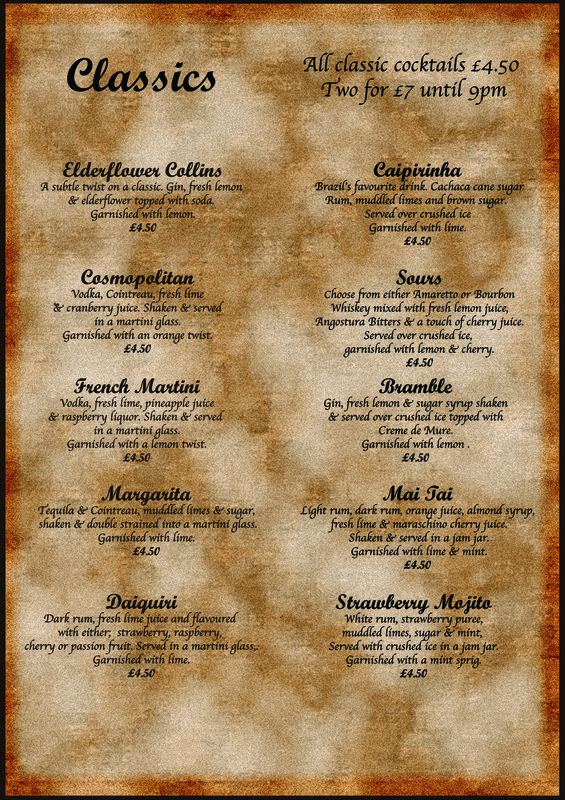 See bottom of page for list of classic cocktails to choose from! To book simply confirm the date you wish to book by e-mail / facebook and pop into the bar with a deposit for your pair/group. Note: If you have any food allergies or food preferences for mini buffet just let us know and we will cater for you.